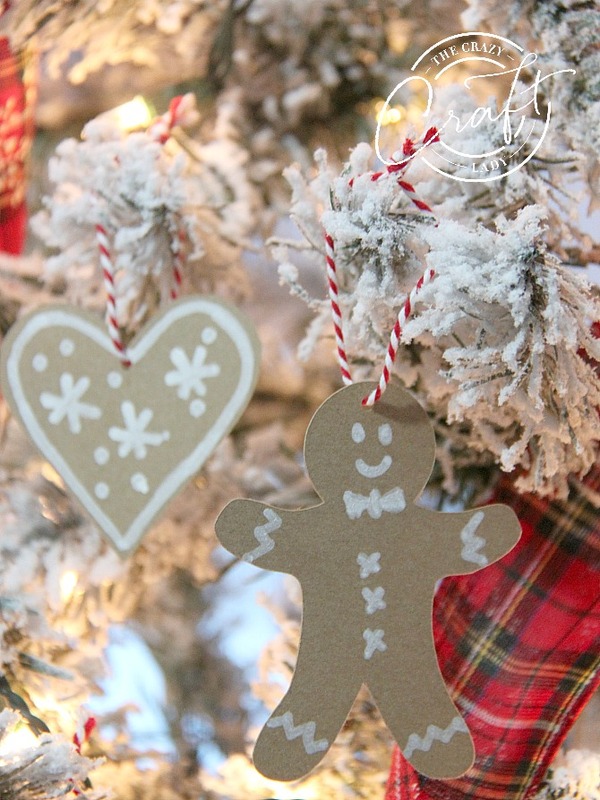 Skip the baking and make these cute little paper gingerbread ornaments instead. 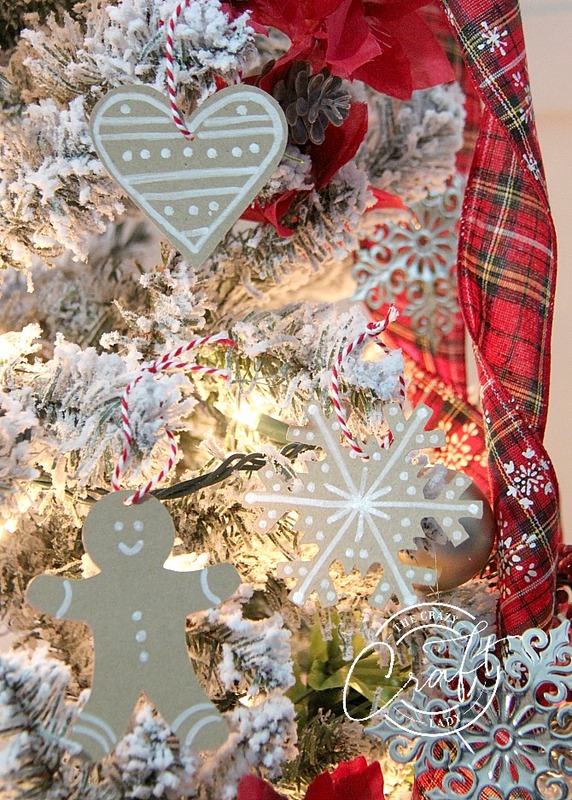 Use a few simple craft supplies to add a little sweetness to your tree. 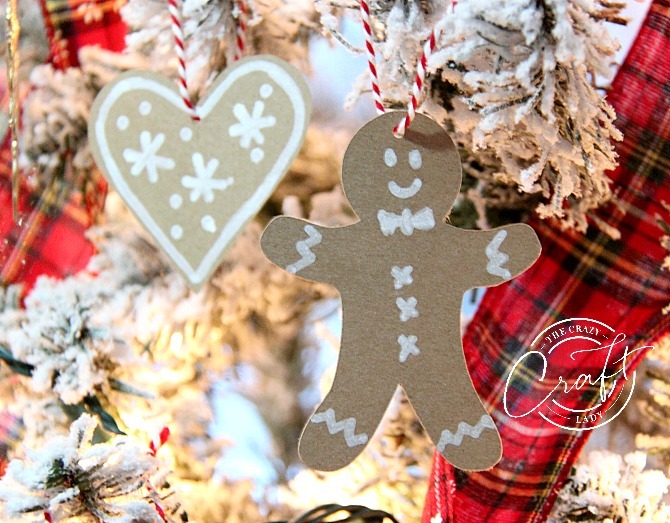 Paper gingerbread ornaments, an easy Christmas craft. 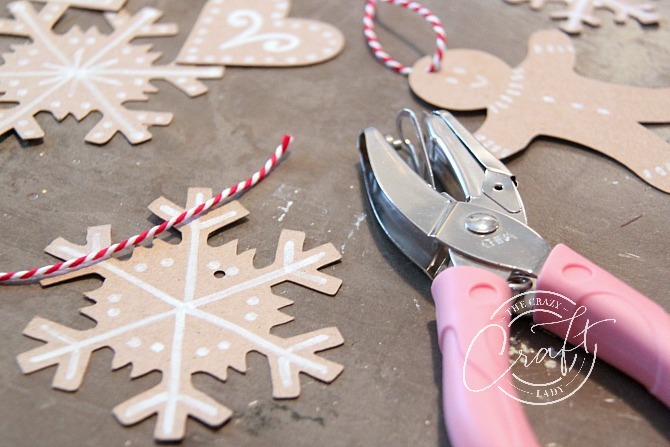 It’s time for a little confession: I’m a die-hard crafter and DIY-er, but I’m not much of a baker. It just takes so. much. time. I often rely on mixes and quick, easy recipes for our sweet treats. You probably won’t find me in the kitchen with piping bags, making detailed decorated cookies. At least, not while I have young children at home. But, I do love the look of gingerbread cookies. 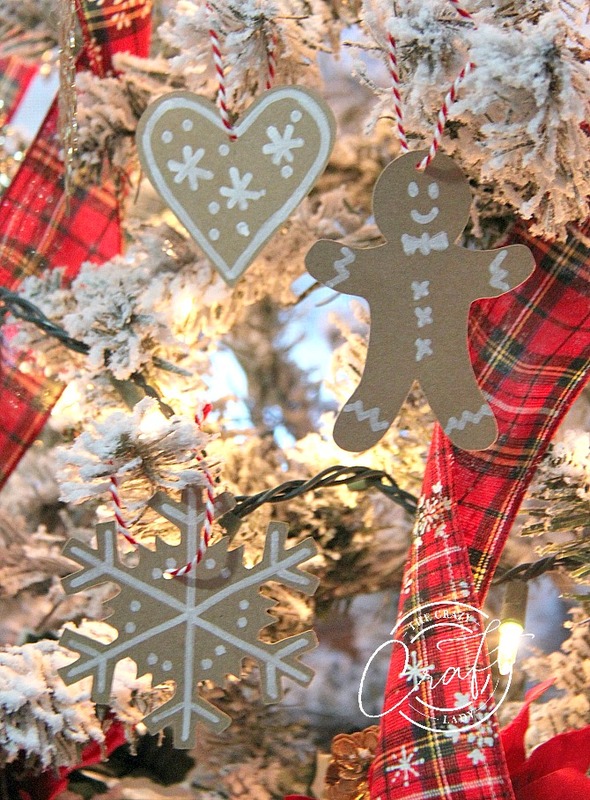 My kids and I decided our tree needed a little something more, so we whipped up these paper ornaments. 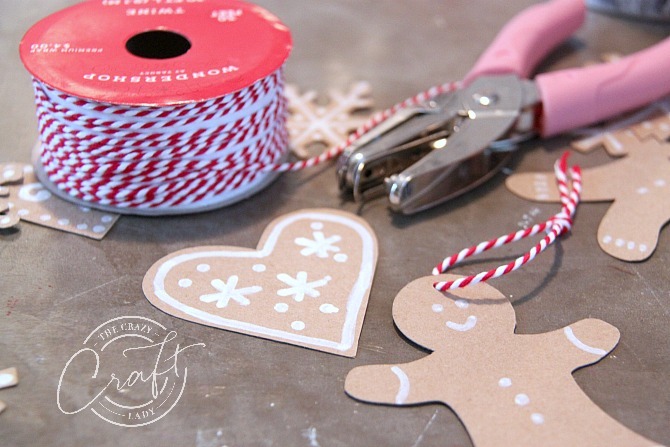 This is such a fun and easy craft to make… no baking required! 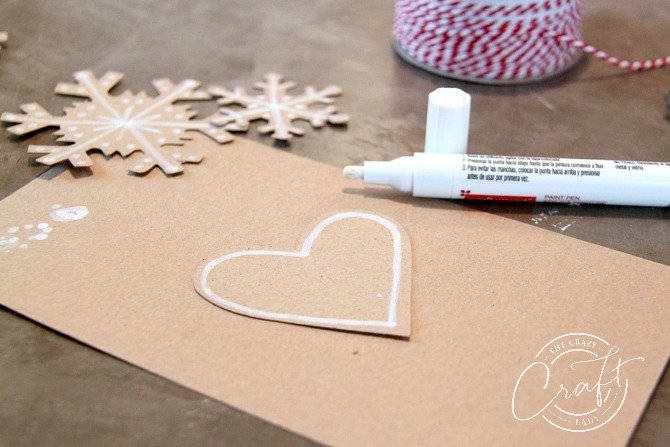 kraft cardstock paper – I highly recommend using cardstock over regular paper, since it it thicker. You don’ want your ornaments bending or ripping. This really is the easiest craft ever. 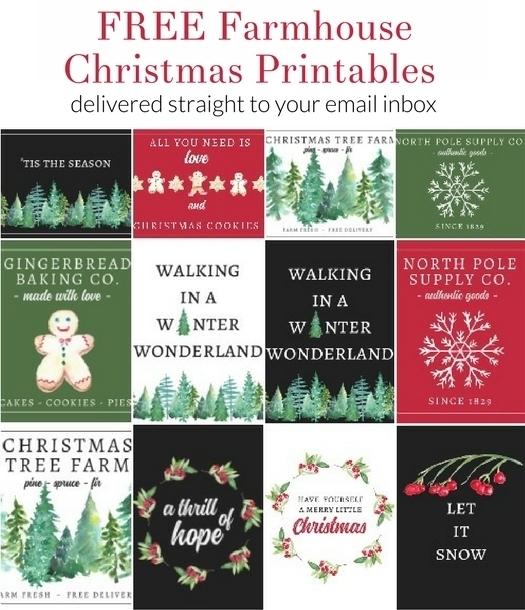 The hardest part is selecting your shapes and size for cutting (I used my Cricut). I arranged my spaces to fit into my 8.5×11 cardstock paper and was sure to “attach” before cutting. 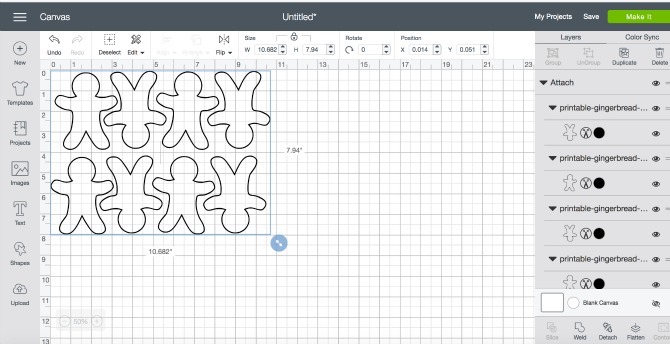 You can also trace and then cut your shapes with scissors if you don’t have a cutting machine. 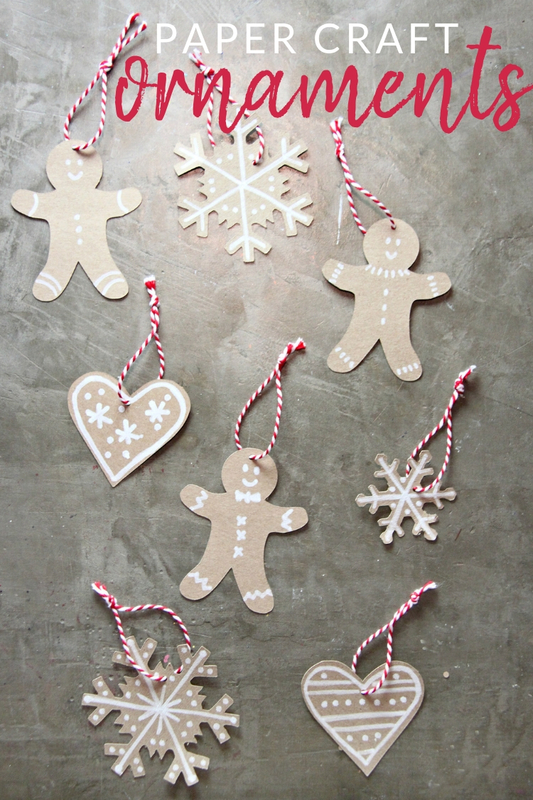 I did a quick Google image search for “gingerbread cookies” to get inspiration for decorating my ornaments. There really is no wrong way to decorate. I even got the kids involved in decorating a handful of ornaments. The main thing is to be sure your white paint pen gets enough coverage. I found it helpful to do 2-3 coats with the paint pen to get the “frosting” to look right. Then use a mini punch to and add a twine knot. I think a mini punch works best for this, instead of a standard punch. 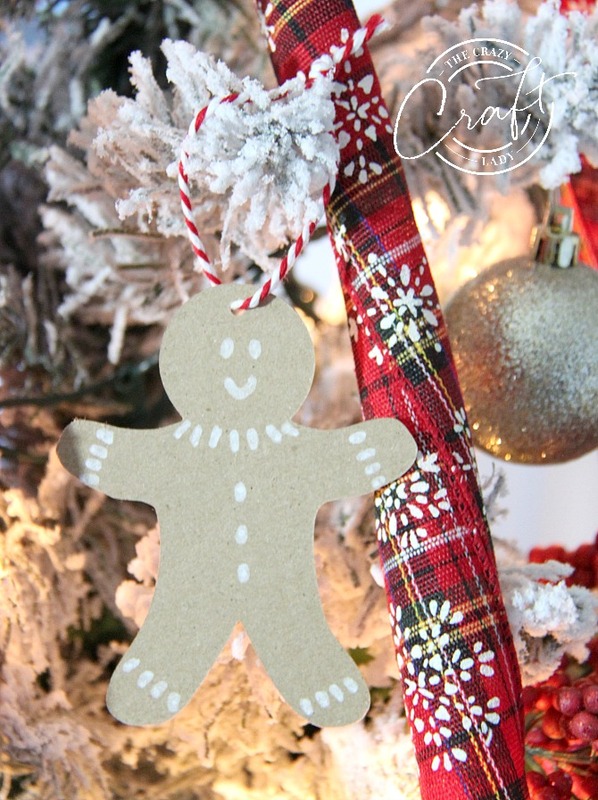 You don’t want the gingerbread people to have giant holes in their head… that’s not very merry!